Fearfest begins again this weekend on AMC with the season 4 premiere of The Walking Dead. The annual horror marathon by AMC will showcase some of the best films in the genre. The marathon runs for 19 days and it begins this weekend, October 13th, and will run until Halloween on October 31st. 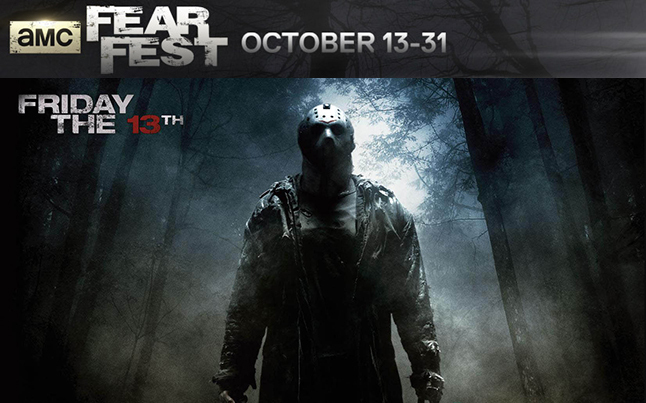 The yearly horror festival will have some of the most well-known classics such as Friday the 13th, A Nightmare on Elm Street, Alien, Amityville Horror, Halloween, and more. They will also have more than just horror and thriller films to watch as AMC will have some interactive fun as well. There will be daily trivia and quizzes along with games where you can challenge your friends via Facebook. If you’re curious to see what other favorites are playing during this year’s Fearfest, check them out below. There is also a full schedule listed on AMC.